Does My Safe Harbor Plan “Require” Testing? Home/401k Resources/Does My Safe Harbor Plan “Require” Testing? There is a common misconception that safe harbor plans are exempt from testing requirements. This overly general and inaccurate statement calls for a proper explanation. A safe harbor plan requires tests other than non-discrimination, entails proper administration to satisfy the plan design and can benefit from testing for plan optimization. Let’s start with a simple analogy. Would you say that a car “requires” rearview mirrors? The car can certainly function without mirrors. Would you question a car dealer that offered you a substantial discount for a car that was missing a mirror but supposedly still met “requirements” for adequate rearview visibility? In order to properly evaluate the validity of the argument that a safe harbor plan doesn’t require testing, we need to understand the testing requirements for a retirement plan and the function of the safe harbor plan design. The IRS has mandated a series of annual compliance tests to ensure that qualified retirement plans are administered within the statutory limits, follow the plan provisions and do not discriminate in favor of highly compensated employees. Annual Non-Discrimination Testing (ADP/ACP) – The ADP and ACP tests compare the average rates of deferral and matching contributions of HCEs to non-HCEs. If your plan has opted for a safe harbor election in any given year, it automatically satisfies the ADP and ACP testing. Annual Deferral Limit – Regulations restrict the amount that an individual can defer into a retirement plan in any calendar year. Any amounts in excess of the limits must be returned with the corresponding refund of investment gains. Minimum Coverage – Minimum coverage testing determines if the plan benefitted the required percentage of non-HCEs. This test is applied to each type of contribution: 401(k) contributions, matching, and employer profit sharing. Top-Heavy Testing – An annual test must be performed to determine if the key employees have more than 60% of the benefits or assets in the plan after certain allowable adjustments. If it is determined that the plan is top heavy, it must meet the top-heavy minimum contribution and vesting requirements. Annual Additions – The IRS sets the limit of how much can be contributed to any individual’s account for a plan year. The limit applies to all plan contributions including 401(k) deferrals, ROTH, match, profit sharing and forfeiture reallocations. Allowable Deduction Limit – The regulations limit the tax deductible employer contribution amount to 25% of total plan compensation. Any employer contributions in excess of 25% are not tax deductible. This restriction only pertains to employer contributions. Employee contributions are disregarded. General Non-Discrimination Testing – A set of tests that applies to plans that use advanced profit sharing scenarios. Such plans use “cress-tested” or “new comparability” provisions which allow different amounts/percentages of employer contributions to be allocated to any specified group of employees. A safe harbor 401(k) plan is designed to pass the ACP/ADP tests. If certain conditions are met, a safe harbor plan may be deemed to be not top-heavy, but the plan is not always exempt from top-heavy testing. Kenny deferred $19,000 to Employer X’s 401(k) plan for calendar year 2017 (which exceeded the annual deferral limit). He was 45 years old and was not eligible to make catch-up contributions. The TPA did not perform annual testing with their low-cost solution since they claimed that the safe harbor plan “eliminated annual testing requirements.” The excess deferrals (and investment gains) were not returned within the required time period, which deemed the plan out of compliance and at risk for disqualification. A Safe Harbor 401(k) Plan does not eliminate ALL testing requirements. A safe harbor 401(k) plan is “designed” to pass the ADP/ACP tests by requiring specific employer contributions on behalf of eligible employees. Designing a plan to meet safe harbor requirements does not guarantee that the plan is administered in accordance with the plan provisions. In order to ensure full compliance and satisfy the safe harbor requirements, the plan administrator needs to effectively determine who is eligible for safe harbor contributions, verify that contributions have been made by the employer and allocate the contributions to the eligible employees per the plan provisions. Employer Y has a safe harbor 401(k) plan. Per the plan’s design, the employer is required to contribute 3% of compensation to all non-highly compensated employees, and those contributions would be 100% vested. Employer Y failed to acknowledge family attribution rules when determining which employees were HCEs and contributed 3% of compensation to employees B, C, D and E, resulting in failure of the non-discrimination testing (even though plan design would pass non-discrimination testing). A mistake like this can be avoided by ensuring that the employer provides the plan administrator with accurate data to calculate benefits to employees and verifies compliance with annual testing. Failure to operate a plan to meet safe harbor plan design is still a failure. While the primary purpose of annual compliance testing is to ensure that your plan is compliant, the results of the test can be used to determine if the plan design meets the objectives of the business owner. Business owners that adopt safe harbor 401(k) plans often look to maximize their 401(k) contributions without the risk of refunds. It is common for small businesses with traditional 401(k) plans to fail ACP, ADP and top-heavy tests since business owners and other highly-compensated employees tend to make larger plan contributions and hold the majority of plan assets. However, this is not always the case. Employer Z has a safe harbor 401(k) plan. Based on the compensation and deferrals, this plan could have passed the non-discrimination tests without the safe harbor plan design. It would be in the employer’s best interest to evaluate the plan design and determine if this is the most effective solution for the business. A low-cost solution is not always a cost-effective solution. 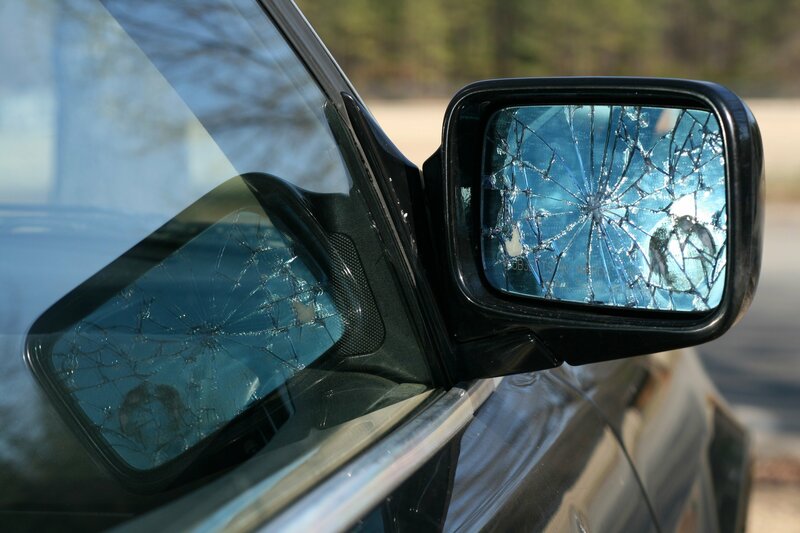 Personally, we think it is in our best interests to have all mirrors intact when we are driving a car so that we can maximize visibility and avoid unnecessary car accidents. We are also weary of retirement plan providers that advertise low cost retirement plan solutions that eliminate testing requirements. Who performs all the tests that are NOT eliminated with a safe harbor design? Who takes responsibility for the plan administration to ensure that the plan is operated in compliance with statutory requirements and plan provisions? When you ask if your safe harbor plan requires testing, we answer with an emphatic YES. The marketing phenomenon of low-cost solutions that eliminate testing undermines the value of proper administration and compliance. The law specifically directs plan sponsors to evaluate that fees are “reasonable” for the services provided, as a low-cost solution may not be in the company’s best interests. At RPG Consultants, we are proud to serve the industry with value, integrity and distinction. Marketing2019-03-18T10:47:00-05:00March 18th, 2019|Categories: 401k Resources|Comments Off on Does My Safe Harbor Plan “Require” Testing?